To view a documentary of our factory process, please select one of the links below. For faster connections (T1, ISDN and DSL) select the high resolution version. For other connections, select the lower resolution. For best results, right click on the links and save the videos to your computer for playback later. If your computer does not have RealPlayer installed, please press the "Download RealPlayer" button. A new window will open and you can download the FREE RealPlayer using the link at the top right of the page. 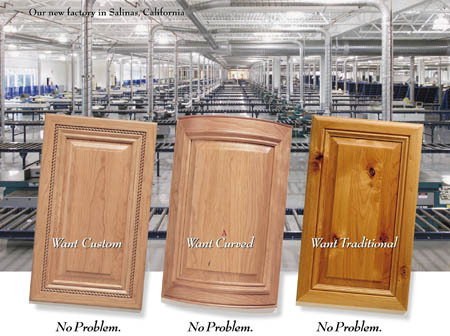 We hope that this documentary will give you a better appreciation of the quality and craftmanship of CalDoors.